Sierra Leoneans have reacted angrily to the demand by Parliament for an apology from TV station for alleged negative report about the House. Parliament Speaker Abass Bundu ordered the Africa Young Voices Media Empire (AYV) to retract and apologise for the alleged offensive its report on a land dispute. The dispute involves Ms Veronica Kadi Sesay, a leading member of the ruling Sierra Leone People’s Party (SLLP), who was accused of land grabbing. Ms Sesay, according to sources, bought a piece of land which claimed by a third party. AYV early last month aired interviews with all the three parties, as part of a popular weekly programme on its main TV channel: Caught on Camera. Apparently, Parliament was offended by the responses, which suggested popular anger against the lawmakers. On Tuesday, representatives of the broadcaster appeared before a parliamentary panel chaired by the House Speaker. Parliament Clerk Umar Paran Tarawallie, said the programme aired live provided a platform for the MP and the House as a whole to be “grossly demeaned” by callers and the other party involved in the land dispute. The MPs were particularly offended by the fact that callers used the word ‘criminal’ in describing MPs. They say that amounted to defamation. The lawmakers now want the broadcaster to air another programme retracting the original one and apologise for defaming Parliament. The move has once again heightened concerns over the freedom of expression under President Julius Maada Bio, who came to power promising to repeal the notorious Criminal Libel law, which rights groups say has for decades stifled free speech. Many Sierra Leoneans took to social media to condemn the action by Parliament. AYV Director of Operation Samuel Wise Bangura, who led the broadcaster’s team to the House hearing, said the allegations against them were untrue and stressed that Speaker’s order was based on an uninformed point of view. Mr Bangura said the Speaker did not even watch the said programme and that he was only briefed about its content. It is the second attempt by the new government to stifle free speech, according to rights campaigners. Last month, there were similar concerns after the police warned against publicly speaking against the government’s policies. Parliament, in particular, has come under sustained criticism for its tendency to gag free speech when its comes to its operations. In 2015, MPs infamously ordered the press to refrain from reporting on alleged corruption in the management of funds meant to fight the deadly Ebola virus epidemic. Last year, a UK-based accountability campaigner was detained after a damning report by his organisation exposed alleged corruption among MPs. 1. China invested more than $50billion in African infrastructure projects in a span of 8 years from 2009 to 2017. This is the highest for any country in the world. For example, China recently built a super fast railway line between Nairobi and Mombasa which is worth $3.2billion. They also constructed almost $4.5billion coastal railway line in Nigeria. A $900million dam in Equatorial Guinea. They recently funded for Free Trade Zone in Djibouti. Not just these, there are many more. 2. 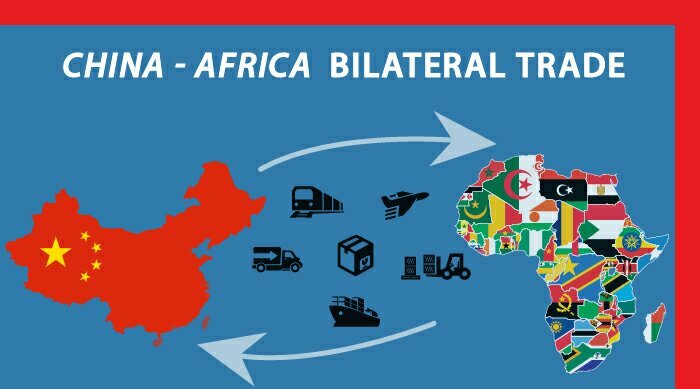 The annual trade between Africa and China is over $130billion per year. It is projected to cross $200billion by the end of 2018 which is 4times that of Africa’s trade with USA. 3. More than 75% of African students choose China for their abroad study. 4. China is the leading job creator in Africa. Majority of African population is working for Chinese companies. By the above facts you might think that China is a lot kinder to African nations then any other country including India. But you know, China is an opportunist country, they simply don’t involve themselves in anything until and unless there have a profit in it. From Africa’s point of view, China is a real friend to Africa. But the fact is it’s not so friendly as they think. Since beginning of 21st century, China has realized about its strength and started trying to dominate over USA at the world level. They want to become the superpower of the world. As a step towards that goal, they started by buying allies. Most of Africa is undeveloped and struggling with many problems. For them to sort out their problems and to develop their country, they need money. China has money, so by resourcing their money into Africa’s development, they’re literally buying them. China had made so much of influence that during 2007 General Assembly Resolution for “Human Rights Situation in North Korea” 45 countries out 54 countries in Africa stood along with China in support to North Korea who is his “best friend”. This is from the political point of view. From economical point of view, China’s almost a developed country. It’s growth rate has become constant. The reason for China’s growth was its cheap labor in the early ’80s which led tremendous industrialization in China. Now, because of Industrialized China most of the Chinese have been pushed from poverty to middle class level. So, low cost manufacturing is not possible anymore in China. But for it to become economic superpower, they need improve their GDP. With lack of low cost resources in it, China eyed towards Africa, which still has a lot of natural resources to be exploited which can be resourced into Chinese manufacturing companies and to carry in-place manufacturing in Africa itself which has very cheap labor. So they started setting up their industries in Africa and have started to make money out of it. Assuming that their investment in Africa is progressive, they could become world’s economical, political and military superpower in no time. So, in short my answer to the question, China-Africa’s relation is shown off as China’s helping Africa “with no strings attached”. China’s is having is more benefits out of this relationship than Africa. The way China influencing African countries is very dangerous as the power dynamics shift to China whose ideologies are vastly different and highly aggressive which could lead to disturbance of world’s peace one day.